The main motivation for adapting the Secured Delivery Lifecycle (SDLC) for Agile in this case is to increase the security of the developed product. This usually includes reducing the number of security flaws and reducing the severity of the security flaws. Also privacy issues are important and are handled in the SDLC for Agile process. Scrum planning - Held at the start of each sprint to define the Sprint Backlog. 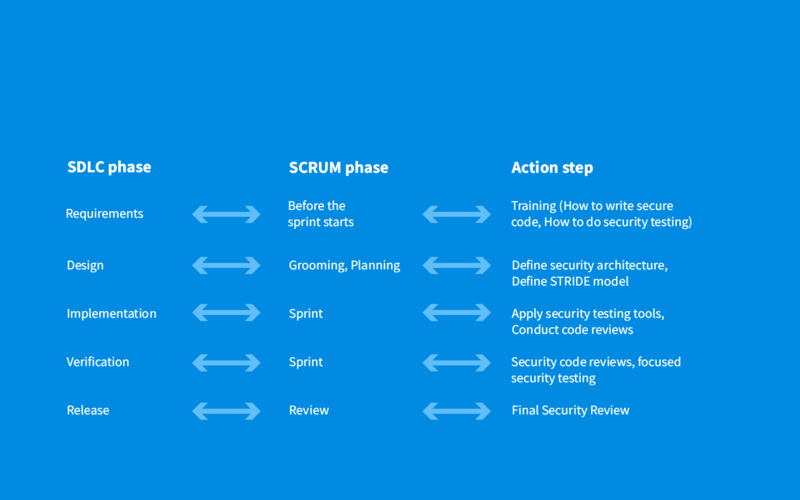 Scrum grooming – The product owner works with the development team to elaborate user stories and design decisions. 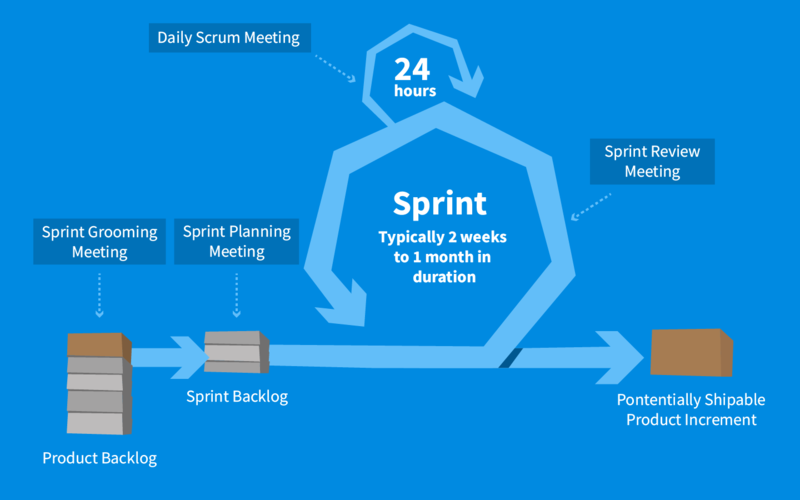 Sprint - A time-box of two weeks during which a "Done", useable, and potentially releasable product increment is created. Daily Scrum - A daily meeting for the team to do a quick check on the status. Sprint Review – Event where team demonstrates the product and confirms that the outcome is as the expectation of product owner and customer. Security must be adaptive to the agile software development methods. Security should offer concrete guidance and tools at all phases of development. Security approach must be simple; it should not hinder to the development project. The most important SDLC activities – design modelling, security review, security testing, automatization, static code analysis – have to be implemented in the appropriate SCRUM phases. All development team members must attend unique security training focused on writing secure code, doing security code review and performing security testing. Is this feature susceptible to spoofing? Can this feature be tampered with? Can an attacker repudiate this action? Can an attacker get unauthorized access to information by attacking this feature? Can an attacker deny service to this feature or data flow? Can an attacker elevate their privilege by attacking this feature? Minimizing the public access - Implementing appropriate access control mechanisms to protect Kentico Cloud resources. Our developers do base access decisions on permission rather than exclusion. This means that, by default, access is denied and the protection scheme identifies conditions under which access is permitted. If a feature requires authorization -> grant only small subset of ACLs by default. The principle of defense-in-depth is that layered security mechanisms increase security of the system as a whole. If an attack causes one security mechanism to fail, other mechanisms may still provide the necessary security to protect the system. The principle of least privilege is the practice of limiting access to the minimal level that will allow normal functioning. How can you implement the use least privilege in order to secure your SQL server? Very similar approach applies to file system configuration etc. How did the security error occur? Is the same error replicated in other areas of the code? How could we have prevented this error from occurring? How do we make sure this kind of error does not happen in the future? Step by step – the vulnerability is identified, the whole solution is analyzed if it doesn’t contain the same/similar issue and code improvements are implemented – e.g. writing new tests, creating a new custom script scanning the solution for similar issues or writing best practices. In each iteration cycle when a new functionality is implemented our developers take advantage of knowledge they learned in the security training course. Implementation and code review cover not only top 10 vulnerabilities by OWASP but we also look for security issues in business logic. REST API (backend) is regularly scanned using the automated web vulnerability scanner on a daily basis. 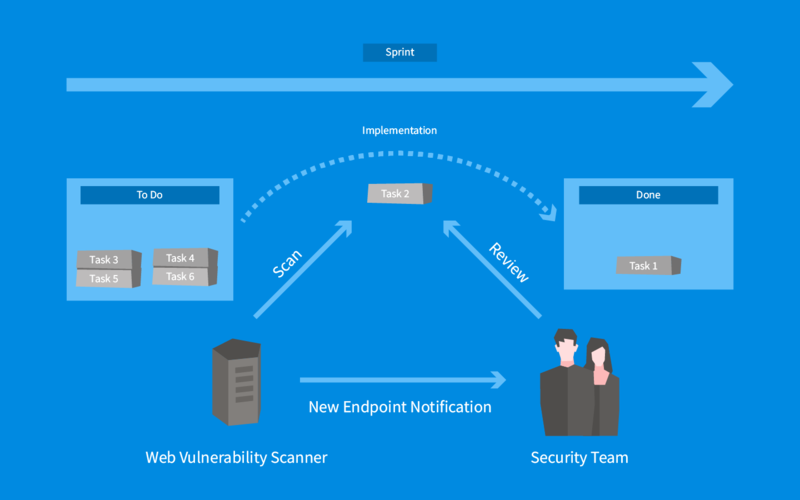 When new public or internal endpoint is created our custom tool notifies team about the changes. Security team manually reviews all new endpoints to make sure the code has been properly reviewed by developers and does not contain any security issue. 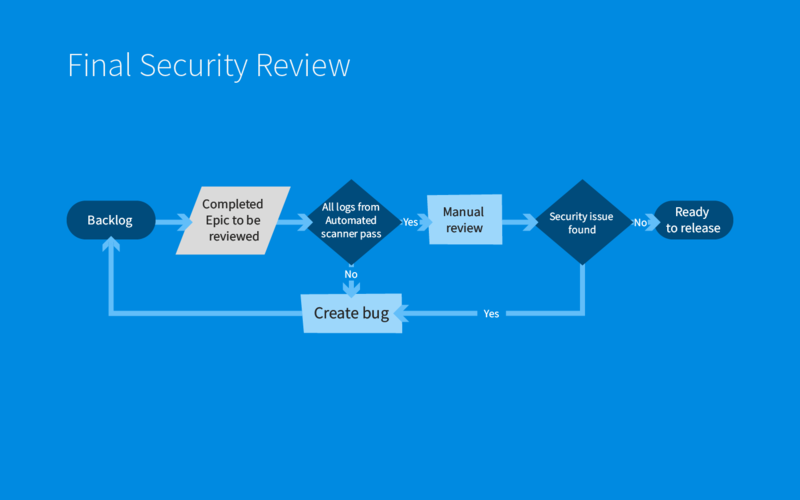 The final security review helps assure that all relevant security aspects of the new functionality are considered. When a new functionality (usually divided into several subtasks during the implementation) is completed and ready to be published all outputs from security tools are audited to make sure no security issue has been found. If there are no issues identified by automated tool the security team did the final manual review. The following diagram shows the whole process. There are two possible results of final security review. If no security issues were found the new functionality is ready to be published. Otherwise security team creates the appropriate bug, tracks the bug progress and when the bug is fixed the whole process is performed again. Interested in more of Kentico Cloud security? Check out our Security Policy.